Security at the National Assembly complex has been heightened with gun-bearing and masked operatives of the Department State Services (DSS) seen manning strategic locations within the parliament building especially the entrance into the lobby and Senate chamber where the mace was stolen two weeks ago. Police personnel have also been increased and were seen at different areas supporting Sergeant-at-arms personnel in the screening of workers and visitors to the White House and other entry points of the National Assembly. 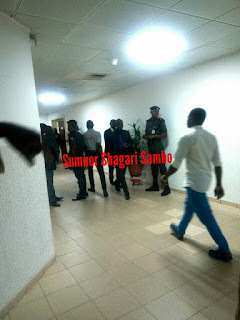 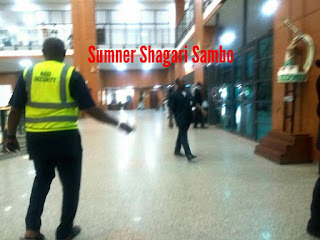 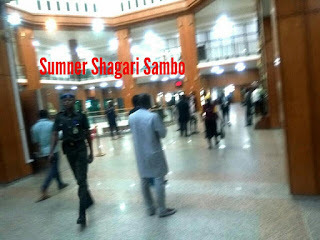 TVC News National Assembly Correspondent Sumner Sambo noticed that senators were being asked to go into the main entrance or White House building of the National Assembly with only one aide while all others were asked by security personnel to go directly to their offices using other entry points rather than accompanying the lawmakers to either the Senate or House chamber. 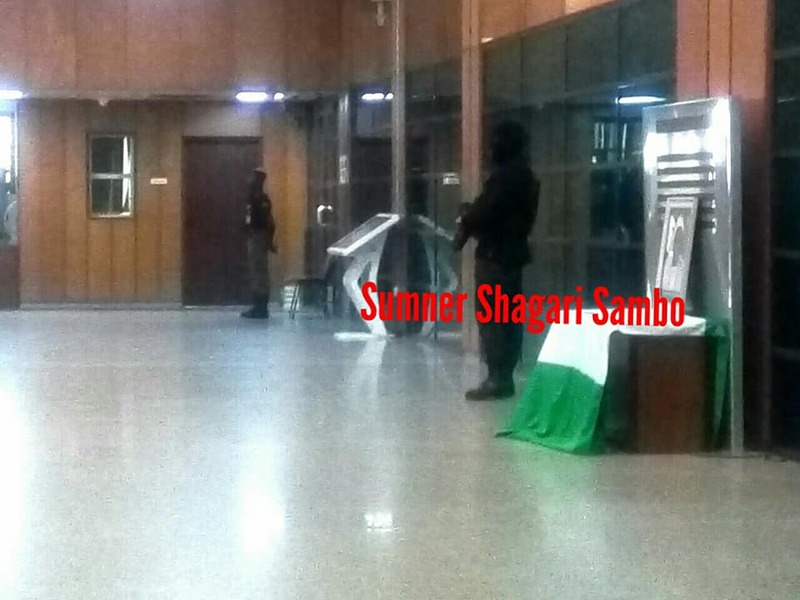 The armed and masked personnel, bearing Tavor assault rifles, are said to be deployed by the DSS as part of the new security measures at the National Assembly complex announced by Senate President Bukola Saraki during plenary last week.